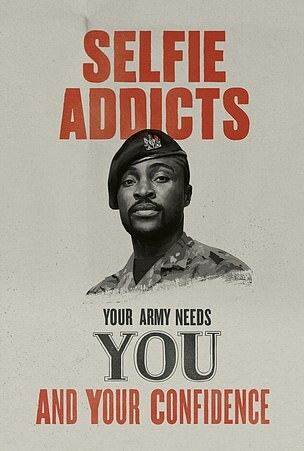 Furious soldiers have taken aim at the Army’s latest recruitment drive calling on Snowflakes, Phone Zombies and selfie-addicts to sign up. 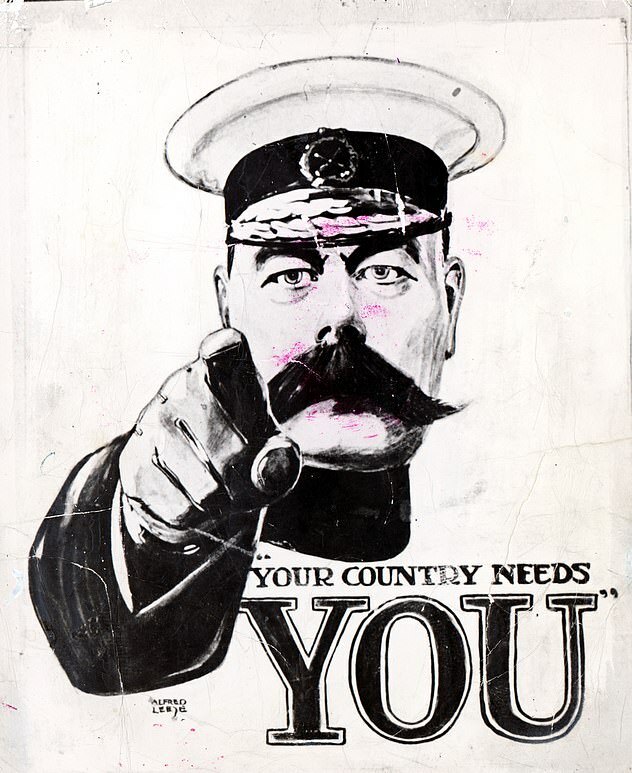 The adverts, unveiled yesterday, are inspired by the famous First World War poster featuring a pointing Lord Kitchener and the slogan ‘Your country needs you’. 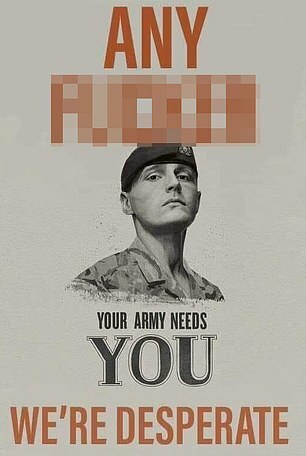 But servicemen and women have begun sharing edited versions of the recruitment drive posters mocking the intended targets. 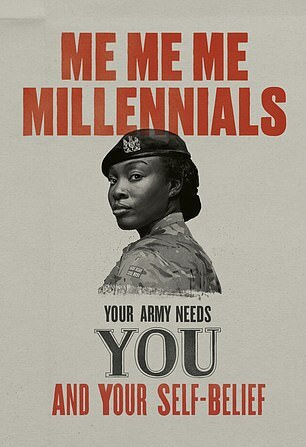 The £1.5 million recruitment campaign shows six soldiers with labels of modern stereotypes including ‘millennials’ and ‘phone zombies’ in a bid to appeal to a wider pool of talent. 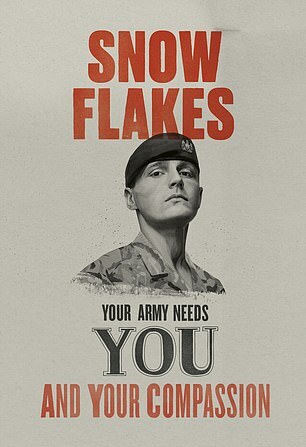 One of the mocked up posters replaces the ‘snowflakes’ with ‘any f*****r* adding ‘we’re desperate’ at the end of the ‘your army needs you’ slogan. 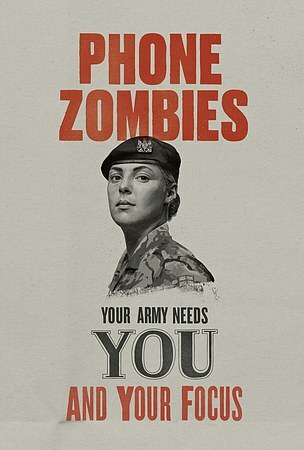 Another replaces ‘phone zombies’ with ‘swingers’ suggesting that the Army could use their team spirit. 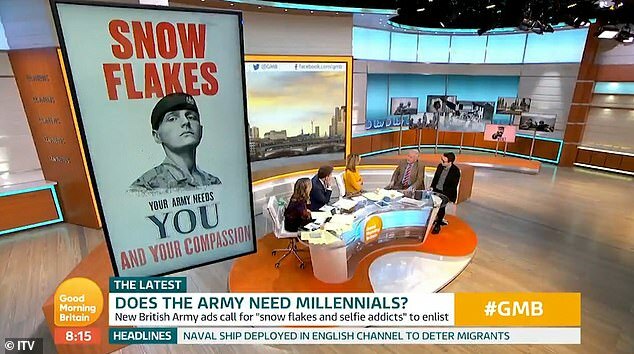 The controversial campaign was discussed this morning on Good Morning Britain, hosted by Ben Shepherd. 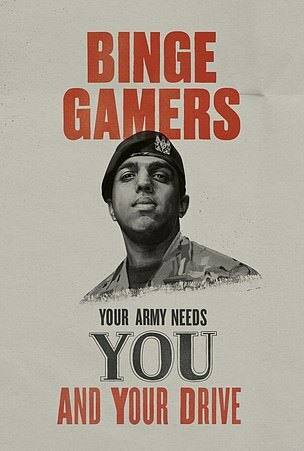 In a debate discussing the merits of the drive, Colonel Bob Stewart defended the call to recruit young gamers, suggesting the abilities could be transferable. 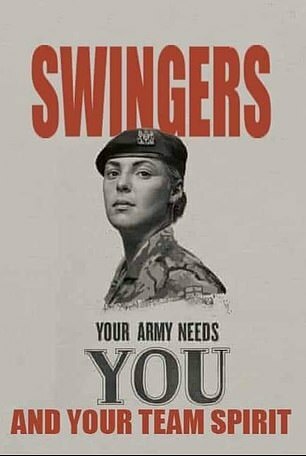 Colonel Stewart said: ‘We want people who can game, we want people who have got it up here, and can help protect the country from cyber-warfare. 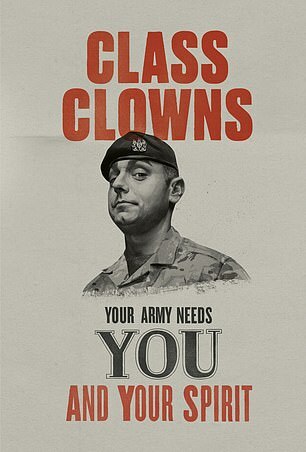 Col Stewart replied: ‘Just because you like the PS4 doesn’t mean you don’t have courage. Just because you’re self-obsessed doesn’t mean you don’t have courage. 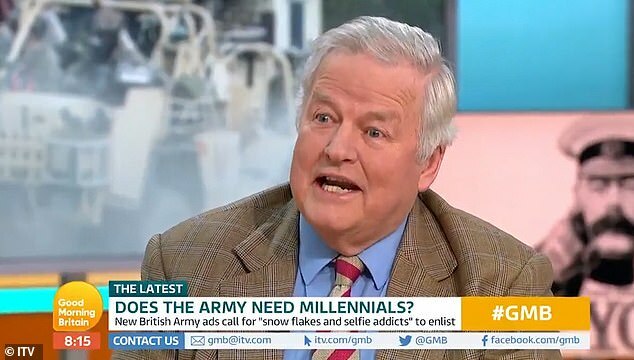 ‘It doesn’t appeal to me, I would hate to be called a snowflake, which means a whinger. 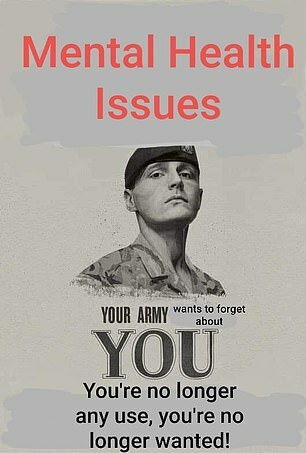 ‘I did 24 years in the Army, and if a soldier wasn’t complaining something was wrong. 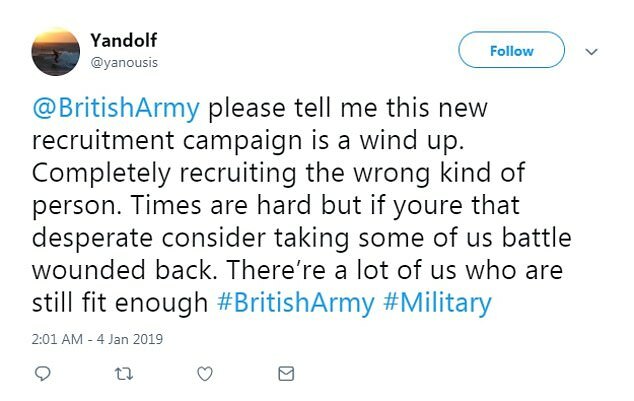 Meanwhile civvies also lambasted the campaign, with one Twitter user asking whether the posters were a ‘wind up’. Another suggested it was insulting and said that the drive had backfired already. 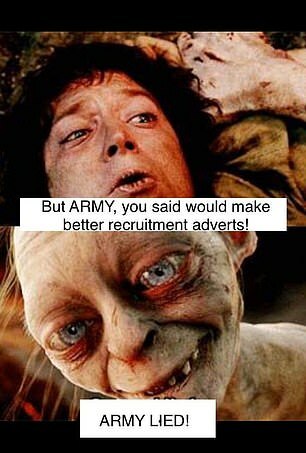 In contrast, a campaign by the Royal Navy to recruit new Marines was well received last year. 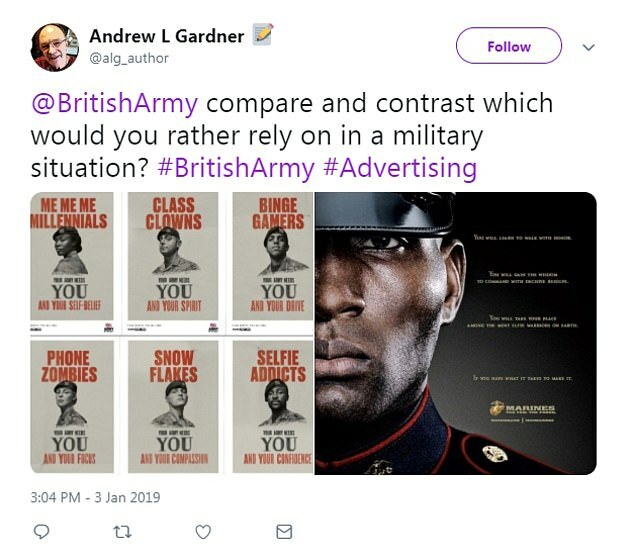 The ‘Born in Carlisle, made in the Navy’ slogan was understood to have hit the right notes among troops who felt it praised rather than demeaned their efforts.